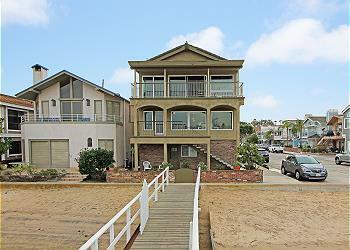 Elegant second story home with views of Bay Island, Balboa Island & Newport Harbor. Perfect for families looking for a quiet spot convenient to amenities. Short stroll to shops and restaurants in Balboa Village and a quick ferry ride to Balboa Island. Lower Unit Just Steps to the Sand - Large Patio with BBQ and Seating! 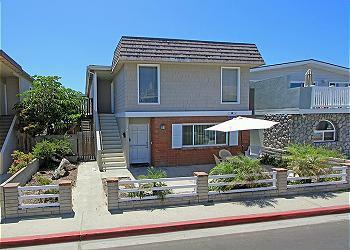 Spacious 3BD/2BA lower unit located steps to the beach! Short walk to Newport pier, shops, and restaurants. Large living room, dishwasher, new decor & furnishings. Coin-operated W/D. WI-FI/Cable/DVD/Linens. 1 car garage w/ extra storage. 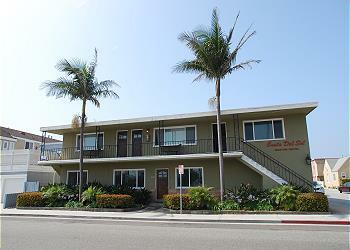 Affordable 4 bedroom lower level unit located steps from the beach and Marina Park! Private back patio with BBQ. Shared coin-operated W/D in downstairs laundry room WI-FI/Cable/DVD/Linens. 1 parking space in garage. Fantastic 3BD/2BA upper unit located 8 houses from beach! 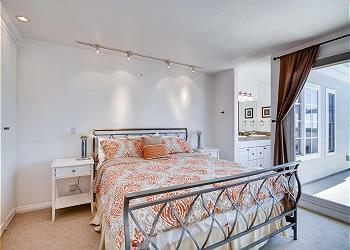 Ceiling fans, carpet and tile floors throughout. 2 balconies, with gas BBQ. Dishwasher & shared coin-operated washer and dryer. WI-FI/Cable/DVD/Linens. 2 parking spots in garage with extra storage.